In commemoration of 60 yrs of Indian Republic. 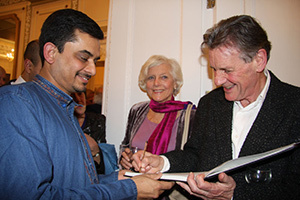 Inaugurated by Sir Michael Palin. 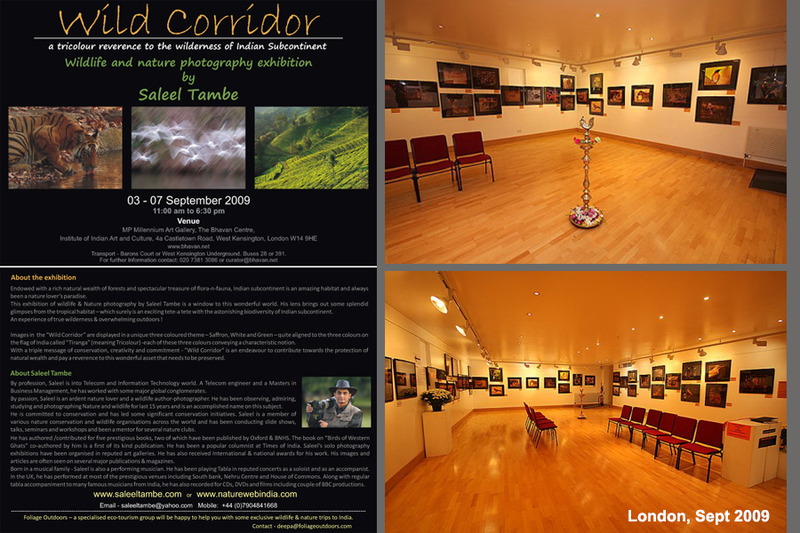 In line with the three colour notions on Indian flag,the galley was set up in three zones Saffron for bravery and strength, Green for prosperity and White for peace and freedom.The subjects in the images in each zone were matching the notion of that colour. 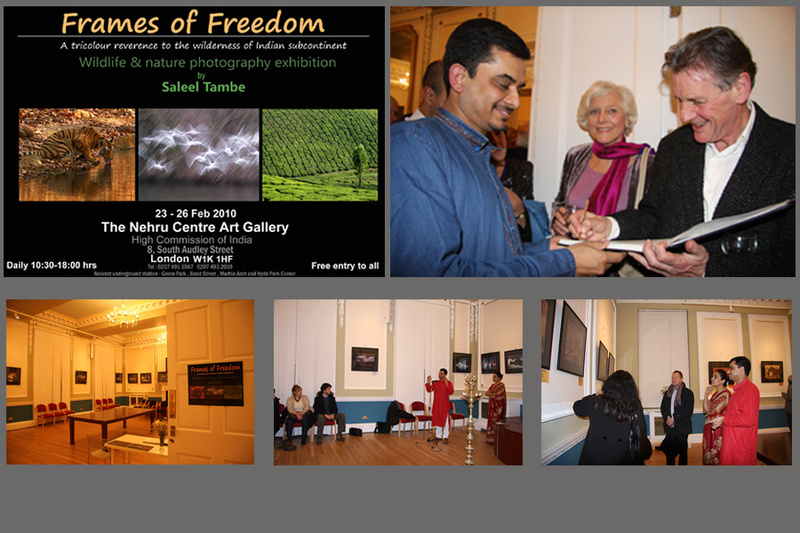 This event was supported by Indian High commission in the UK. 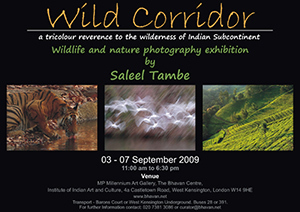 Wild Corridor was a window to the wonderful wild world from Indian subcontinent. 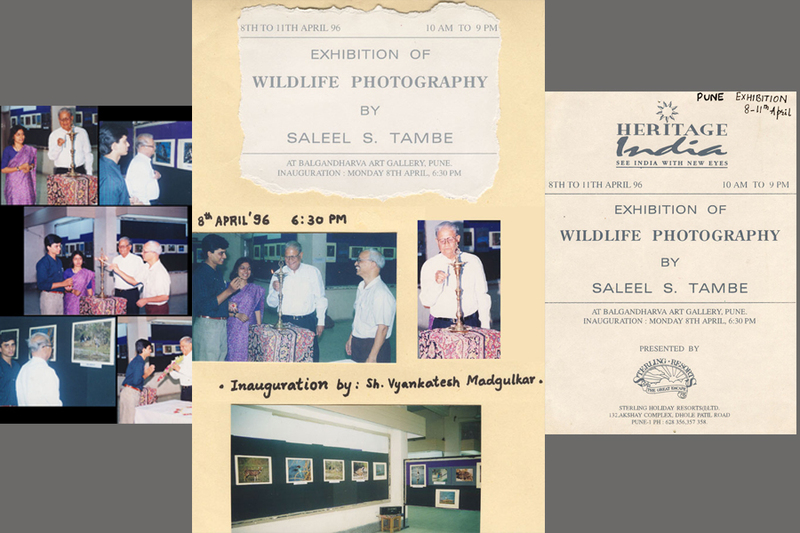 Through this exhibition of wildlife and Nature photography, Saleels lens brought out some splendid glimpses from the tropical habitat – which surely is an exciting tete-a tete with the astonishing biodiversity of India.An experience of true wilderness and overwhelming outdoors. 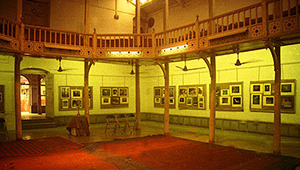 Images in this exhibit were displayed in a three coloured theme – Saffron, White and Green – quite in line with the three colours on the flag of India flag called Tiranga (meaning Tricolour)-each of these three colours conveying a characteristic notion. 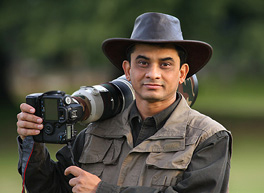 This solo exhibition of Saleels Nature and Wildlife photographs was organised in line with the World Environmental Day. 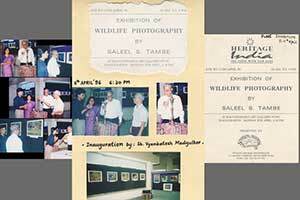 A multimedia CD of Saleels work was also launched during this time. 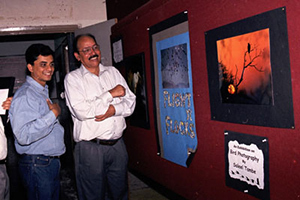 The 3 day exhibit was inaugurated by Dr Asad Rahmani- Director BNHS and about 17,300 people visited the show in this popular art gallery of Pune.This exhibition was re-displayed at the launch of Birds of Pune book co authored by Saleel. 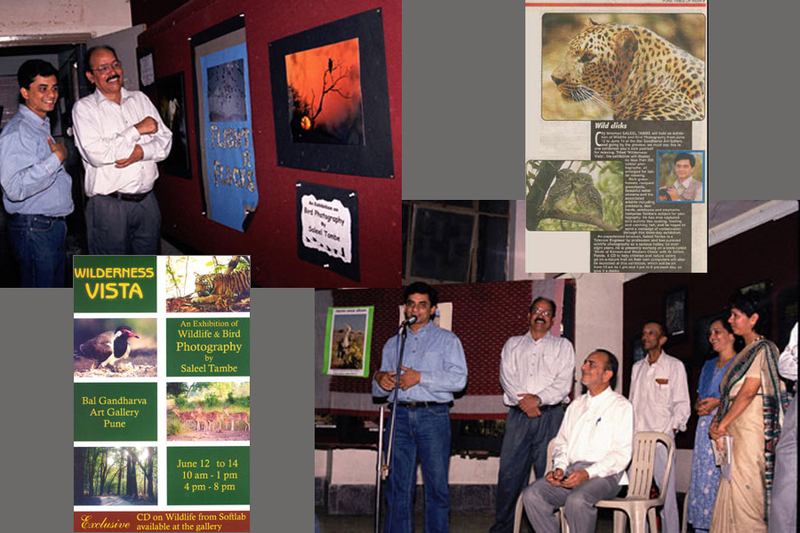 05 to 07 Oct 1996 - On the occasion of Wildlife Week, Organised by YHA. 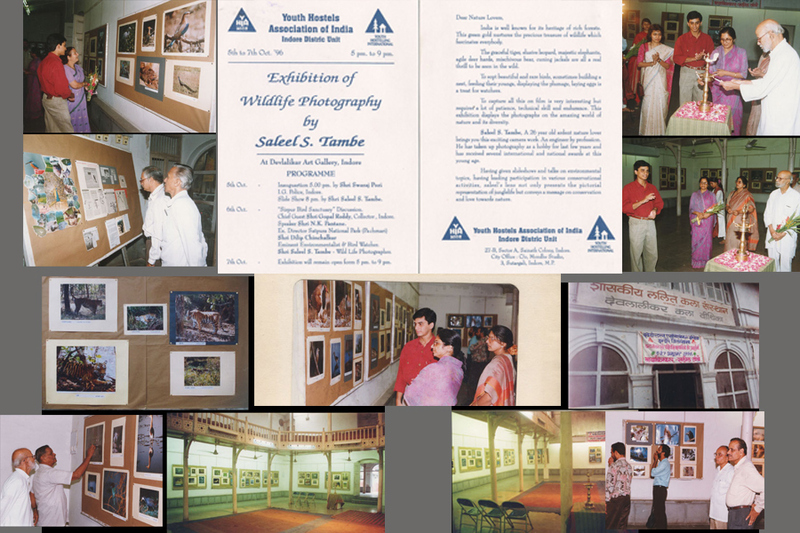 Inaugurated by Shri Vishnu Chinchalkar Guruji and Smt Sumitra Mahajan.